Recipes in FNEC programs are used to show how healthy food can be affordable, accessible and delicious! Our diverse collection can make following My Plate guidance tasty and interesting. 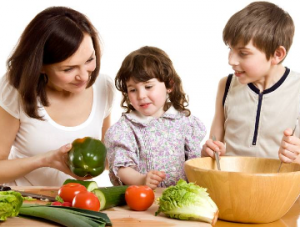 FNEC recipes promote good health by moderating fat and added sugar content without sacrificing taste. To curb fat content, lean meat and low-fat dairy products are used, and most recipes have 35% or fewer calories from fat (or less than 5 grams of fat per serving.) All FNEC recipes contain less than 2 teaspoons of added sugar per serving. See the FNEC Recipe Policy.